Meier’s prepared statement—available here—sheds light on the FTC’s enforcement efforts in the pharmaceutical industry, which Meier identified as one of the FTC’s “top priorities.” Meier singled out “Risk Evaluation and Mitigation Strategies” (REMS), pay-for-delay agreements, and abuse of government process as practices that the FTC is closely monitoring. Meier explained that the FTC is concerned about companies attempting to delay or impede generic entry through so-called REMS. REMS are safety strategies designed to inform patients of risks associated with pharmaceuticals, and are sometimes required by the FDA as part of the approval process (or for an approved product when new safety information arises). Meier noted that some manufacturers of branded drugs have used REMS for allegedly anticompetitive ends. For instance, some branded manufacturers have required that pharmacies enroll in the manufacturer’s REMS program, and verify that the prescriber and patient are also enrolled in the program, before dispensing a particular drug. Such action, Meier warned, can create a strategic incentive for a branded firm to refuse to cooperate with a generic entrant, thus delaying generic entry into the market. Meier also explained some REMS and other practices that limit distribution of the branded drug may improperly prevent generic manufacturers from entering the market. For instance, he testified that some branded drug manufacturers have restricted the distribution of pharmaceuticals to limit the quantity of branded drugs available to generic manufacturers. Without sufficient samples of the branded drug, generic manufacturers are unable to perform the bioequivalence testing necessary for Abbreviated New Drug Applications (ANDA), and the branded manufacturer can “potentially delay [generic] entry indefinitely.” Meier noted that such practices have been challenged in recently filed antitrust litigation, including Mylan v. Celgene, in which the FTC filed an amicus brief opining that this practice may raise concerns under both Sections 1 and 2 of the Sherman Act. 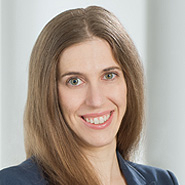 Meier noted that it is not always simple for the FTC to take action against these practices, which may not fall squarely within the ambit of the antitrust laws. Accordingly, Meier encouraged Congress to consider legislative action that might curb such practices. He voiced support for House Bill 2212, the “Creating and Restoring Equal Access to Equivalent Samples Act of 2017” (CREATES Act), legislation that he believes would curtail the alleged REMS abuses and restrictions on distribution. Meier also discussed the FTC’s “long-standing concerns about unilateral conduct by branded manufacturers to illegally maintain a monopoly position through abuse of governmental processes in violation of the Sherman Act.” Earlier this year, the FTC brought suit against Shire ViroPharma alleging that it filed 43 repetitive and unsupported “sham” petitions with the FDA to frustrate entry in the market for a generic version of the antibiotic Vancocin.